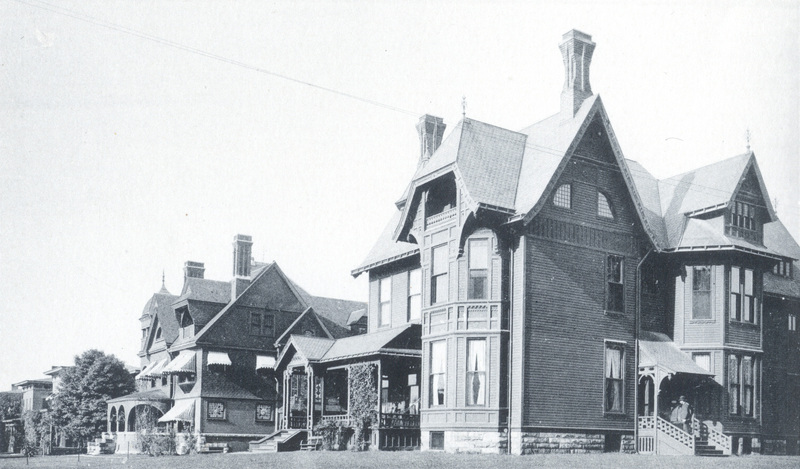 The Wick Avenue neighborhood developed after the Civil War into Youngstown’s premier address during the late nineteenth century. The city’s industrial and financial leaders built sprawling mansions surrounded by lush gardens and manicured lawns to share with their families and friends. 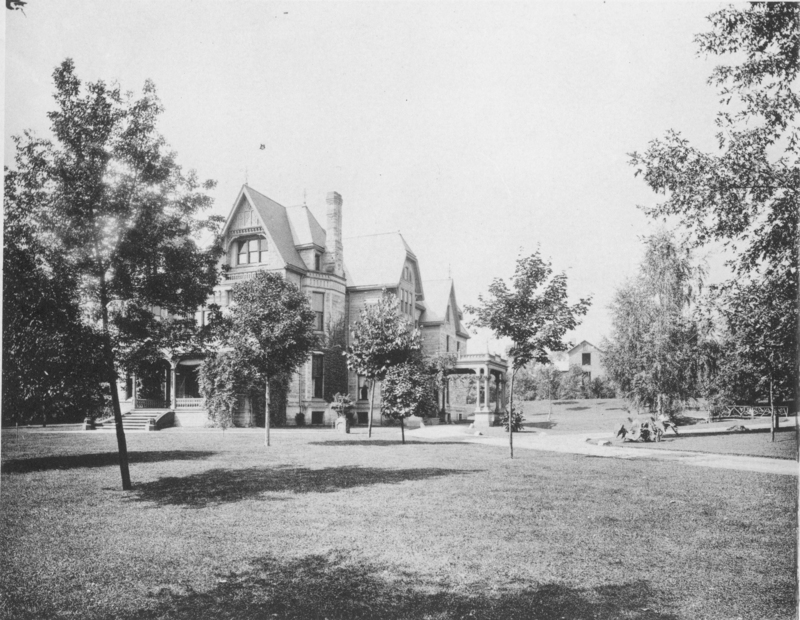 Over the past century, Wick Avenue underwent a transition as cultural and educational institutions occupied or replaced many of the former mansions in this neighborhood. Commercial development also occurred as the central business district in downtown Youngstown expanded northward, and Youngstown State University grew to the north and west from the original YMCA collegiate building (now Jones Hall) at Wick and Lincoln Avenues. At the time of the American Bicentennial, the Wick Avenue neighborhood received historic district designation on the National Register of Historic Places. At the end of the twentieth century, the entire Wick Avenue corridor, from Wood Street to the Madison Avenue Expressway, was a cultural district anchored by YSU and including several churches, museums, libraries and educational and charitable organizations. Walking Wick Avenue will be a regular topic and will highlight the many historic buildings included on the Historical Society’s walking tour. We’ll start with the Holy Trinity Romanian Orthodox Church, 626 Wick Avenue, originally the home of Charles D. Arms. Charles D. Arms, a local industrialist, built this house in 1881. The three-story residence is in the Romanesque Revival style, with its masonry structure and rounded, arched windows. The Holy Trinity Romanian Orthodox Church purchased the building in the early 1940s and dedicated the church in 1946. Arsene Rousseau remodeled it for use as a church and retained the original imported cherry and mahogany interior woodwork especially in the sanctuary. The cantor’s lectern in the sanctuary was made from a bed left in the house by the Arms family. Prior to the house being remodeled as a church, rumors about haunting made the house an interesting feature of Wick Avenue especially to young men and women.